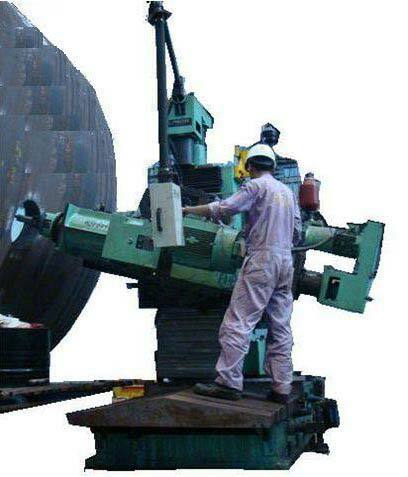 We are a pioneer Horizontal Boring Machine Manufacturer, Exporter & Consultancy in India. The Horizontal Boring Machine is a portable insitu machine, developed to move nearer to the job and suitably positioned, aligned and clamped. The Horizontal Boring Machine has got 7 different axis movements enabling it to carry out different machining operations in varying planes. The Horizontal Boring Machine ends the long established limitation of 100mm diameter bore of most portable radial drill machines. The configuration of Horizontal Boring Machine is that of a horizontal column moving type milling / boring machine with ram type milling head.